1. Is the chain brake engaged? 2. The chain tension may be too tight. Easy fix, just loosen the bar-retaining nuts and rotate the tensioning screw counterclockwise to the correct tension. Then tighten the nuts back up. 3. Is the guide bar and chain assembled correctly? 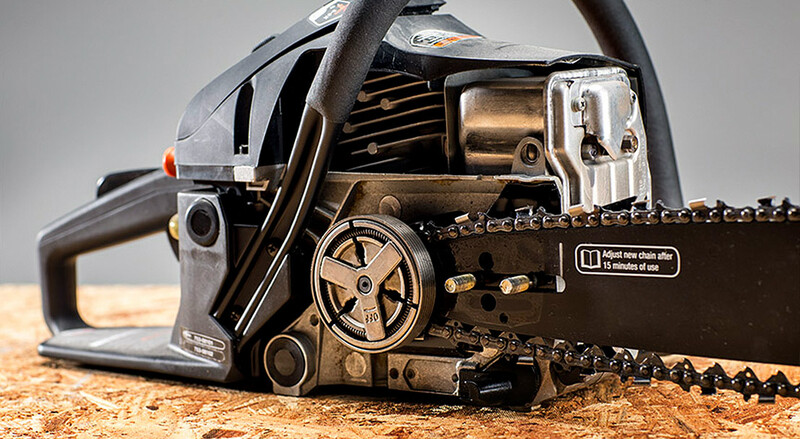 Check out the ‘Removing/Replacing the Guide Bar and Chain’ section in your gas chainsaw manual. 4. Is the chain installed right? 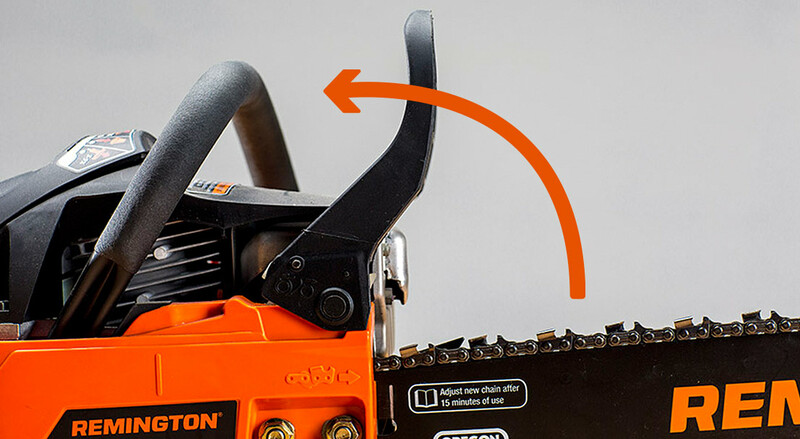 Make sure the cutters are positioned in the proper direction to cut. 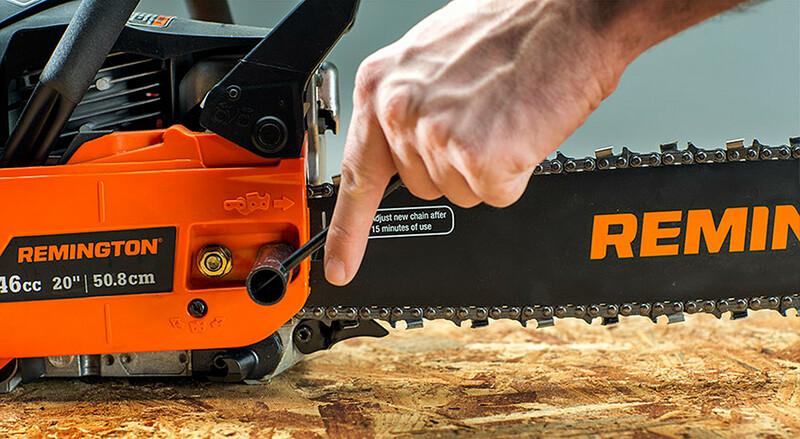 If the chain’s installed backwards, it makes cutting wood difficult. Please reference ‘Removing/Replacing the Guide Bar and Chain’ section in the manual. 5. Check your air filter. 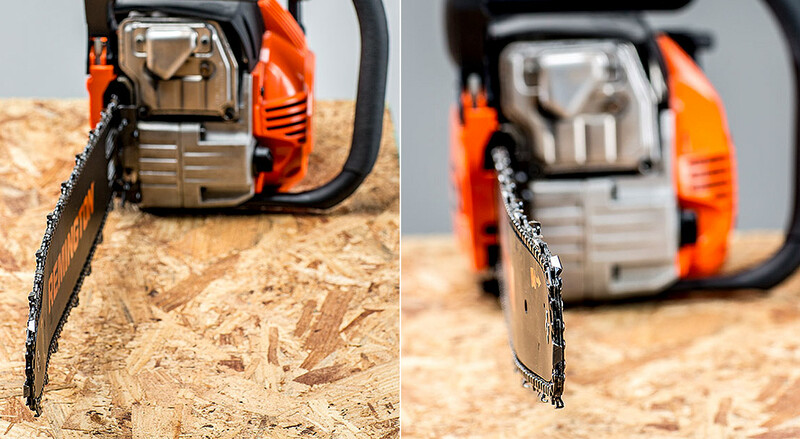 A dirty air filter can affect your gas chainsaw’s ability to cut. Issues like low power, poor performance or if the engine’s stalling during cutting could all be signs you need to clean it. Follow the owner manual guidelines for maintenance. 6. The drive assembly could be damaged. 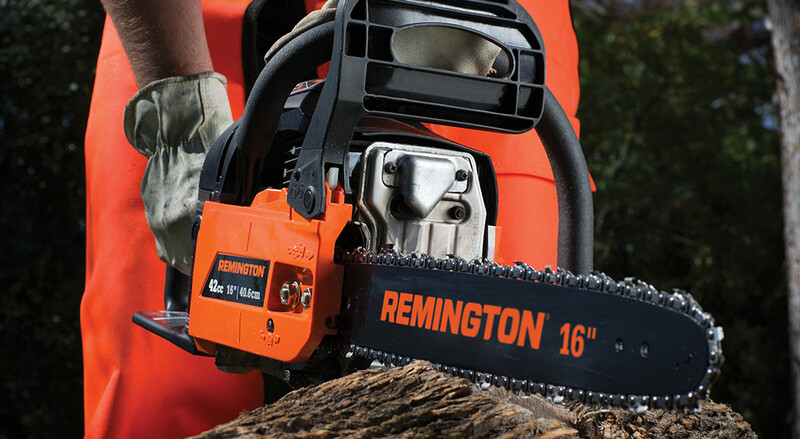 Refer to the ‘Service Information’ section in your gas chainsaw manual. 7. 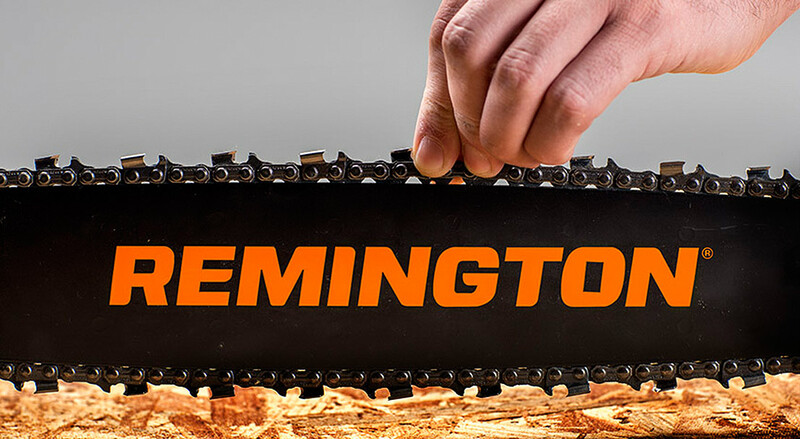 The chainsaw guide bar and chain might be damaged. 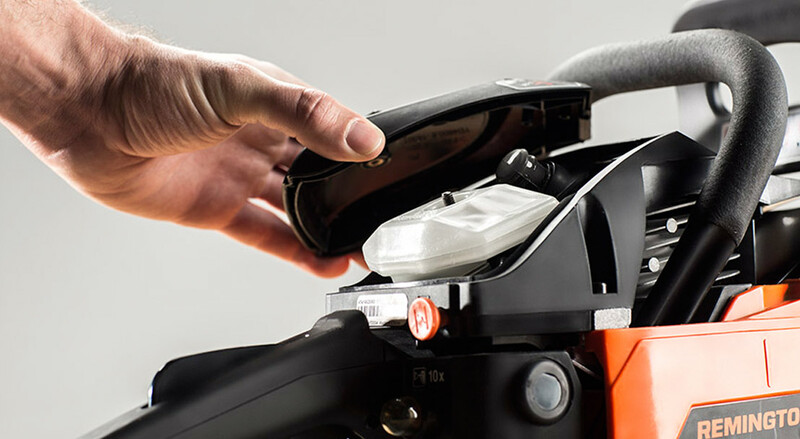 Inspect the guide bar and chain. If you see signs of damage, contact the Customer Support Department at 1-866-206-2707. 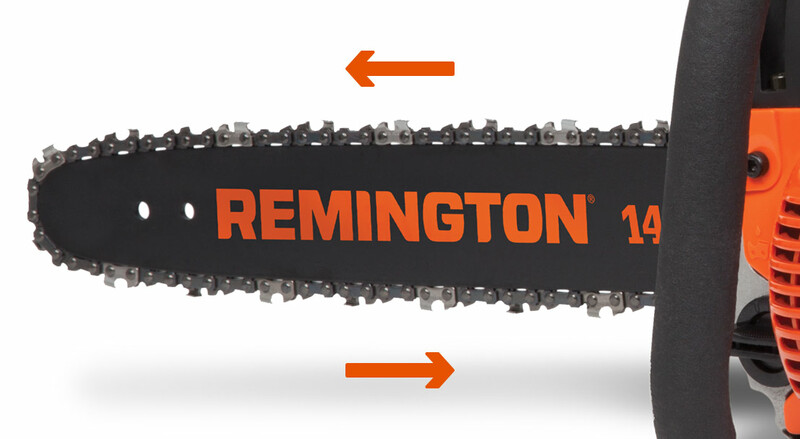 Have a different issue with your Remington gas chainsaw? See the Troubleshooting section in your model’s manual.